Common rail direct fuel injection is a modern variant of direct fuel injection system for petrol and diesel engines. On diesel engines, it features a high-pressure (over 1,000 bar/15,000 psi) fuel rail feeding individual solenoid valves, as opposed to low-pressure fuel pump feeding unit injectors or high-pressure fuel line to mechanical valves controlled by cams on the camshaft. Third-generation common rail diesels now feature piezoelectric injectors for increased precision, with fuel pressures up to 1,800 bars (26,000 psi). Common rail fuel injection is the newest generation of diesel engine technology. Common rail systems are considered cleaner and more efficient than older diesel engine injection systems. The common rail system accumulates high-pressure fuel in the common rail and injects the fuel into the engine cylinder at timing controlled by the engine ECU, allowing high-pressure injection independent from the engine speed. As a result, the common rail system can reduce harmful materials such as nitrogen oxides (NOx) and particulate matter (PM) in emissions and generates more engine power. J.G. Parks & Son, Inc. has a team of factory-trained technicians who are able to service Common Rail Fuel Injection systems. J.G. 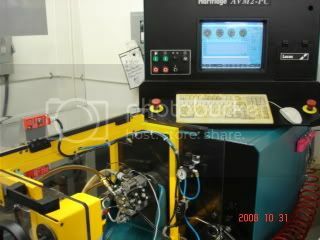 Parks & Son, Inc. utilizes the latest technology and the most advanced test equipment in the industry. Please contact a Diesel Specialist at J.G. Parks & Son, Inc. for further information at (410) 742-0400.